Aerial view of search for Jimmy Hoffa’s remains from Harry Arnold’s drone. 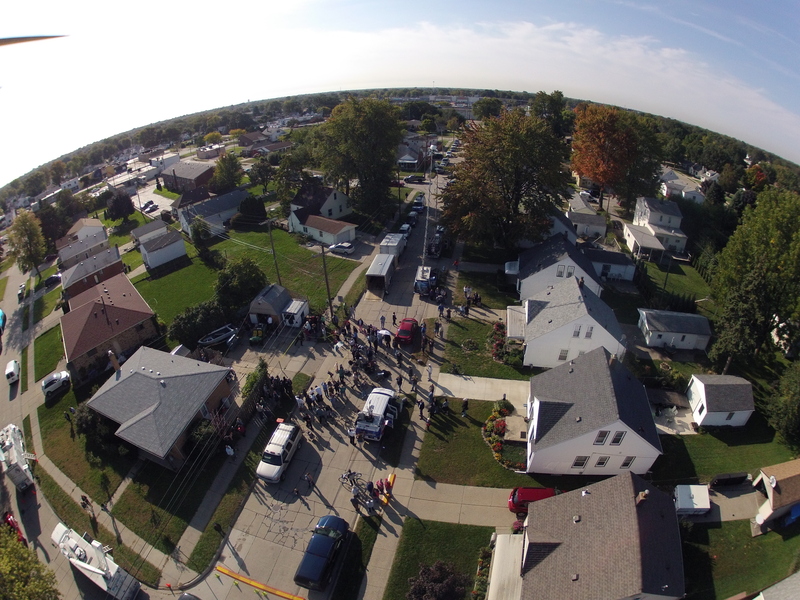 The Macomb Daily’s coverage of the recent search for Jimmy Hoffa’s remains included livestreamed video shot by an aerial drone. No human remains were found at the Michigan home, so the former Teamsters president’s 1975 disappearance remains a mystery. But while authorities were digging for remains, the search made for some interesting news. Executive Editor Richard Kelley said the video was provided by Harry Arnold, a freelance videographer the Macomb Daily has used before for livestreaming. Arnold uses a remote-controlled quadrocopter drone to provide aerial videos to Detroit-area clients. If nostalgia were a business model, Dean Starkman might be a CEO and his company might make tons of money. But nostalgia doesn’t work in the news business the way it does for the History Channel. And besides, the good, old days Starkman wants to take newspapers back to never actually existed.